We all lost a beloved son, caring brother, loving husband and exceptional father when Michael Lee Noga left this world on July 10, 2018. Along with the best team of doctors at Stanford Medical Center and St. Joseph Hospital, he fought with all his strength to beat cancer. Mike was born on Nov. 6, 1952 at the Trinity Hospital in Arcata. He grew up in the Bayside community on Noga Lane with the late Joe and Delia Noga, and his sister Linda Palmrose. Mike cared for his family more than anything and would talk on the phone to his sister almost every day. He loved his childhood home and one of his favorite things was teaching his grandkids how to pick blackberries, so he could make them a pie using his mother’s pie crust recipe. To this day, he remains best friends with Wes McCabe and Jim Swift, who he grew up next door to as a child in Bayside. Mike graduated from Arcata High School in 1970. Prior to owning his own company, Mike went to work at G&R Metals in Eureka, Bailey Suit and then Schmidbauer Lumber Company. While working for Schmidbauer, Mike would also put in long hours after work renovating homes as a second job.The skill set learned and work ethic that many admired is what helped catapult him into owning his own company. The stops along the way allowed him to meet some incredible friends; to name a few, while at Bailey Suit, Mike met his dear friend Doug Fini, and at Schmidbauer, Mike became great friends with Brian Riley, who he would enjoy future shenanigans with. In 1988 he married the love of his life, Delynn Noga. Soon after, he started something he always wanted to do; he began building a dream home for Delynn and his two sons, Jeff and Brian. He was so grateful for Delynn and everything she brought to his life. He loved to go on adventures with her; traveling all over the country on road trips, going on cruises to tropical paradises and always enjoying each other’s company. His ideal day was waking up with her and enjoying their morning coffee out on the deck of their beautiful home with their sweet cat, Cheddar. In 1988 Mike obtained his contractor’s license and began building custom homes. He was known for being a very skilled and trusted craftsman. Something he was very passionate about, Mike taught many others how to build and inspired many young men to also become skilled in the trade of building. He built alongside his friend Michael Samuelson for almost 20 years. He absolutely loved what he did, but more importantly he loved the people who surrounded him by being in the building industry. One of his favorite things to do was drive around and “work,” which essentially meant he would go visit with all his buddies about hunting and fishing. If you needed Mike, he was always just a phone call away. He always picked up the phone when someone would call, and he was never in a hurry to get off the phone. He was a listening ear and the voice of reason. You could call him for anything, and he nearly always had an optimistic idea of how to fix it. Mike was an avid outdoorsman. He loved driving in the hills and hunting at Lou’s Camp with his two sons, Jeff and Brian, his cousins Ralph & Dan Noga, and most recently his grandson Justin. He also loved duck and goose hunting with Jeff & Brian, his best friend Lee Thomas, Shane and Doc Blackwell, Bret Banducci, Keith Noga, and many other friends along the way. One of his favorite things was fishing, pretty much anything and everything. 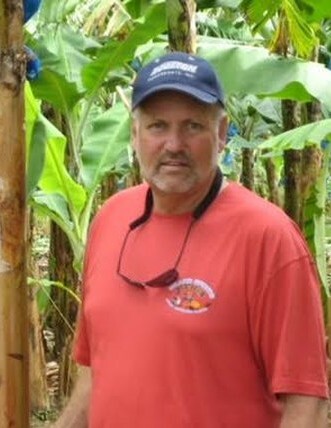 He loved fishing bass tournaments with his sons Jeff and Brian, his best friends Lee Thomas and Wes McCabe. As good of co-anglers as they all may have thought they were, the only time he won tournaments was with his wife, Delynn. She must have brought him good luck! He taught his sons about the ocean and how to catch nearly every kind of fish local to our area. He enjoyed every minute on the ocean with Jeff & Brian, Nate and Terran Stucki, and his grandson Justin. He loved to “hammer” the halibut, fish for rockfish at the cape or reel in a perfect salmon. He also enjoyed digging for clams, night fishing, abalone diving, perch fishing, and most recently trout fishing with his grandkids Justin, Katy, Ava, Jackson and Audrey at the Carville Pond up at Trinity Lake. His influence of appreciating nature has inspired all his grandkids to want to hunt and fish just like their own dads. He was the perfect example of the most amazing dad. He never missed a game, an event of any type, and was the type of dad who would pack the truck and pick his sons up at 2 a.m. as they got off the bus from a football game, just to drive them up into the hills so they could be hunting in the morning. He has instilled the same values in his own sons and was very proud of that. His favorite day of the year would have to be the Fourth of July. Every year his entire family and his best friends Lee and Karen Thomas, Wes and Sandy McCabe, Scott Farley, the Lumbardi’s and many others over the years would all get together at his cabin up at Trinity Lake and barbecue and float off the patio boat together. Mike had a wonderful life, full of love, laughter, travel, fun and most importantly family and great friends. He will always be eternally grateful for his brother in law and friend, Wayne Palmrose for taking such great care of his sister, Linda. He also remained close with his first wife, Patti Conti, who gave him the greatest gift of his life, his sons, Jeff and Brian. He was so proud of his children, Jeff and his wife Theresa Noga and Brian and his wife Natalie Noga. The light of his life were his grandkids; Ava, Justin, Jackson, Katy and Audrey Noga. He absolutely loved watching them grow up and seeing them shine. Mike was preceded in death by his parents Joseph Frank Noga and Delia Rose Noga of Bayside, grandparents Joseph Adolph and Latizia Mary Biondini of Arcata, and John and Frances Noga of Eureka and numerous cousins, aunts and uncles. As a family we would like to thank the staff at St. Joseph Hospital oncology and the ICU, as well as the Stanford Bone Marrow Transplant Team. A huge thank you to Sandra Burgess from Stanford and Dr. Elie Richa from St. Joseph Hospital for being Mike’s biggest cheerleaders during his time at both hospitals. The family would appreciate ALL who loved him to celebrate his life with us by attending Mike’s Celebration of Life on Saturday July 28, 2018 at 4 p.m. at 227 Lucchesi Rd, Arcata for a night of food, drinks, family & fun stories. Stay as long as you would like to reminisce about our husband, father, and your friend Mike. To share memories or express condolences, please sign guestbook.